One thing I thought about over the weekend is that I have received such an incredible response from people I know and those I do not about how I’ve been 100% honest during our journey over the last several months. I’ve shared the good, the bad, and the ugly (cries). I’ve shared photos that have shocked my family (the one of Bea’s staples) and ones that mean the world to me (holding Bea for the the first time post transplant). I’ve used this blog as a journal, as a way to (hopefully) let people know they are not alone in their rough patches of life, and as a space for Bea to look back and read when she is old enough. I started this blog years ago as a “fashion” blog; sharing my taste in clothing and statement jewelry. I’ve almost quit numerous times but something in me told me to keep it going and looking back I think I continued so that when it came time to share Bea’s story and our journey – I could. I could share, I could gain support from all over the world, and I could enlist the help of numerous prayer warriors when I needed them most. Because I’ve been so open throughout our journey, it struck me as odd that there was one thing I hadn’t shared. My incision. I feel weird only showing Bea’s and not showing mine since I am the other half of this story. No, I do not feel my best and I am certainly not in my best shape. But I am proud. I am proud of what this incision identifies. 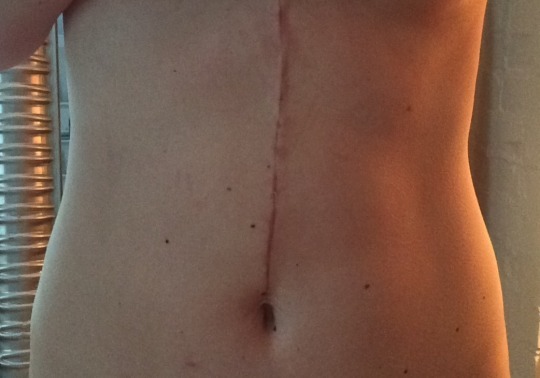 My aunt who beat breast cancer years ago told me not to worry about the scar and to, instead, embrace it. She said scars are like a roadmap of your life. And I am loving where this one is leading us.